Chronic pain led to Tom’s* life falling apart. Tom suffers from pinched nerves and issues with his tendons. He also has several fused areas in his spine and suffers pain on the right side of his neck, and in his right hip. This makes a lot of his movement very limited, difficult, and painful. His relationship with his wife deteriorated and he was asked to leave the family home. He was quickly found a place in a hostel supported by Church Homeless Trust. 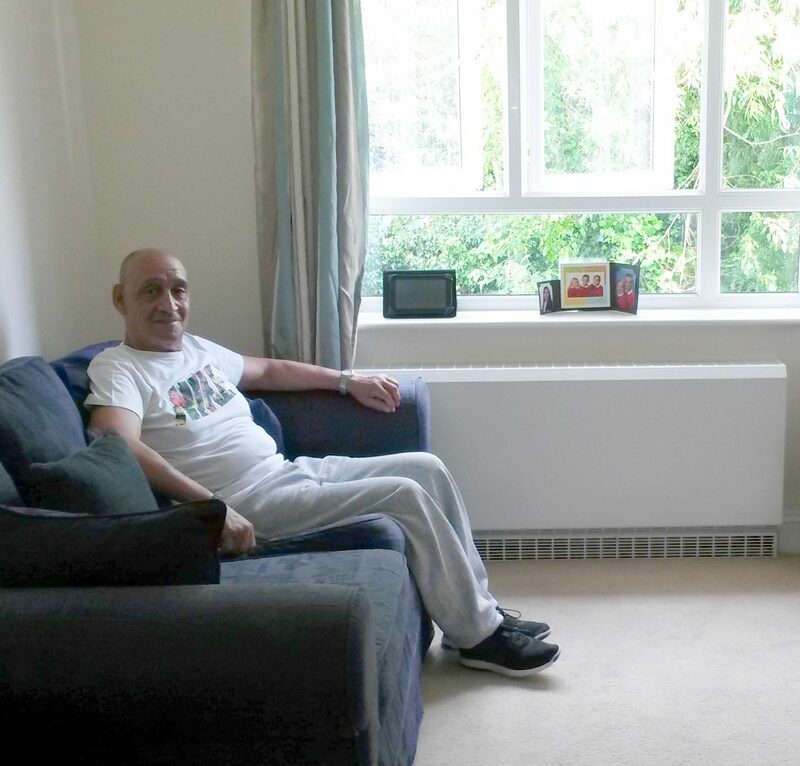 After nearly a year at The Quays hostel, he was ready to move into a flat of his own. However, he had left almost everything with his ex-partner, and had no furniture for his new flat. “Just a few lines to let you know how I am getting on, and say thank you for all you have done for me over the last year or so. “I was in a dark place when I first arrived at The Quays, but over the first few months you helped me to face my problems, and deal with them in a correct way. “As you know towards the end of my stay I had a bad time with a close family member, and a much-loved family pet, which I doubt I could have handled this time last year. But thanks to your help, I am doing just fine, and now I am 95% settled in my new flat. “I have just a few trinkets to get, but thanks to your help, and generous help from Church Homeless Trust, I now have a well equipped kitchen, comfortable lounger, and a well fitted bedroom.